Nick Sayer is already building his resume, as he was named the 2011 Big South Freshman of the Year. The first two years of sophomore Nicholas Sayer’s collegiate tennis career can best be described as a search for identity. Now entering his second year on the Radford University Men’s Tennis team, 19-year-old Sayer is making waves as the top player on an RU squad that is consistently regarded as one of the best on the eastern seaboard in Division I tennis. Anderson, now enjoying his 16th year at the helm of the men’s program, has been honored with a record of six consecutive Big South Coach of the Year awards (2006-2011), and is currently gunning for his seventh. What most people might not know is that Nicholas Sayer is not the first Sayer brother that Anderson has coached. 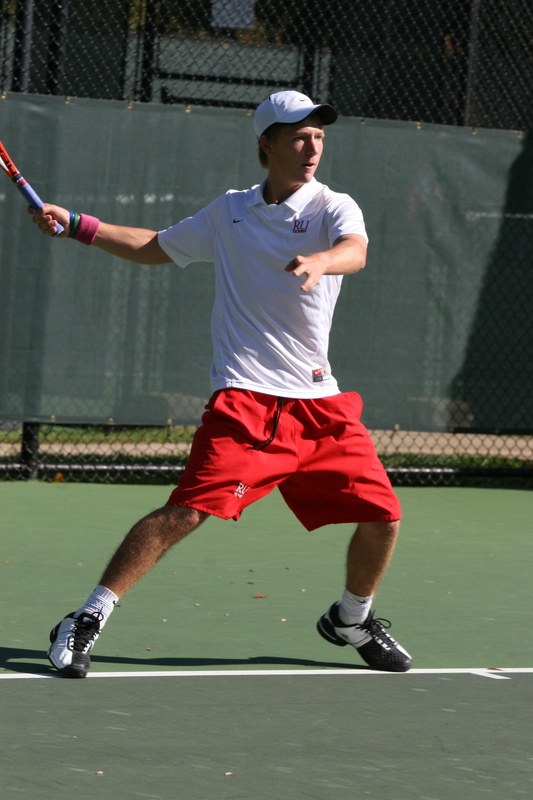 Nick’s older brother, Martin Sayer, a 2009 graduate of RU, is among the best tennis products ever put out by the Big South conference. Martin Sayer owns a laundry list of accomplishments both on the collegiate and professional level. He became just the second player in Big South history to earn Big South Player of the Year honors four years in a row, compiled 114 wins in his career at RU (a school record that still stands), and was named to the “Best of the Best” list, a listing of the league’s best players, teams, and moments compiled in observance of the 25th anniversary of the formation of the Big South conference. However, according to Anderson, both Martin and Nick Sayer are among the best players that he has ever coached in his entire career. Sayer made waves as a freshman last year when he won the Big South Freshman of the Year award, was given the Big South Freshman of the Week award four times and was even named to the All-Conference Singles team. He also came in second on the team with 30 singles victories, second only to Ivan Salec. Earlier this year, Sayer shocked many in the college tennis world when he upset University of North Carolina junior Jose Hernandez, who was ranked No. 9 in the country at the time the match took place. Although the margin of victory was narrow (Sayer won two sets out of a three set match), the victory definitely sent a message to the Big South and the rest of Division I tennis: Martin is not the only Sayer brother with serious skills. Although he goes to school here in Radford, Sayer and his family reside in southern England, in the town of Farnham. Despite the huge strides that Sayer has already made in his career, the young man who some are calling the next big thing in the Big South seems to be relatively modest about his goals. Also, the man who’s been at the helm of the men’s tennis program for the past 16 years seems to think that Sayer has not reached his full potential. “Nick’s best games are ahead of him, that’s for sure,” Anderson said.